Renowned singer and Kathak dancer Parvyn (The Bombay Royale, Dya Singh) teams up with Australian sitarist Josh Bennett and tabla virtuoso Jay Dabgar to present a thrilling display of Indian rhythm, melody, song and movement. "Sadhana" means spiritual devotion to your life's endeavour, and these three artists truly embody this concept. The spontaneous improvisation, dynamic interplay of music and dance, and stunning virtuosity will capture the heart and energise the soul. Classically trained in Ahmedabad, they have each performed extensively in Australia and abroad, including at the prestigious Saptak Classical Music Festival in India. Their performances combine tradition, virtuosity and innovation with passion and joy for their art. Sadhana also present instrumental performances on sitar and tabla. Past performances include the Saptak Classical Music festival in Ahmedabad India, the National Folk Festival in Canberra, Cygnet Folk Festival in Tasmania, and Adelaide Fringe 2011 and 2015. 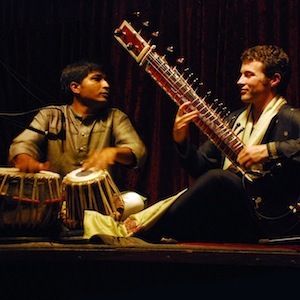 Also in 2011 Josh and Jay toured nationally with Josh's guru Smt Manju Mehta on her first Australian visit, with performances including OzAsia in Adelaide, the Powerhouse in Brisbane, and Boite World Music Cafe in Melbourne. Josh Bennett's reputation as a virtuoso multi-instrumentalist is recognised around the country. As well as his classical performances on sitar, Josh tours extensively with the genre-bending trio BluGuru, and the surfadelic funk Bollywood extravaganza The Bombay Royale, and gives workshops and lectures on all aspects of music and performance. A regular on the folk festival scene, Josh has a passion for the nuances of traditional music from all over the world, from African marabi rhythms and Bluegrass fiddle tunes to Brazilian choro and French gypsy jazz, and of course Indian classical. Other than sitar, Josh performs on guitar, mandolin, violin, dilruba (bowed sitar), tabla, didgeridoo, and sings. Having grown up playing music all his life, Josh only started playing sitar at 21, as being left-handed it was difficult to find one to suit! 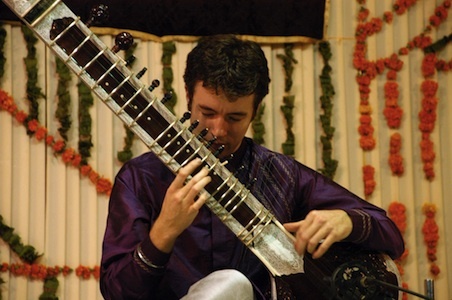 Now, almost 15 years later, Josh has earned a position of respect in India as a sitarist, and has his custom left-handed sitars made by the best makers in the country, including Sanjay Rikhi Ram, who built and maintained Pt. Ravi Shankar's sitars. He owes this honour in part to his own dedication as a student, but the main credit must go to his guru, Smt. Manju Mehta. Josh has been a disciple of Manju Mehta since 2007, and learned more in his first six months as her student than in the ten years prior. Herself a dedicated student of Pandit Ravi Shakar, she posesses the creativity, skill and knowledge of raga that is only possible with a lifetime of effort. Her brother, Pt Vishwa Mohan Bhatt, has attained international recognition for his collaboration on slide guitar with artists such as Ry Cooder, Eric Clapton and Jerry Douglas. 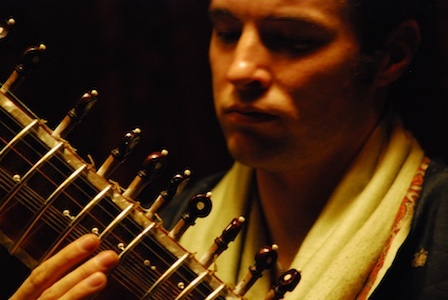 The highlight for Josh as a sitarist was in 2009, when he was invited to perform for Pt Ravi Shankar at his home in Delhi, as part of a celebration of the life of George Harrison. Josh also performed with Jay Dabgar at the Saptak Festival in Ahmedabad, alongside the greats of Indian Classical music such as Ustad Shahid Parvez, Ustad Zakir Hussain, Pt Shiv Kumar Sharma and Pt Hariprasad Chaurasia. Jay Dabgar was brought up in a family of tabla-makers, and lived in an environment of music and instruments since childhood. Jay started learning Tabla at the age of five. Initially, he learnt the 'Delhi-Ajrada-Gharana Style' under the tutelage of Shree Divyang Vakil, a renowned percussionist and teacher, who was a disciple of late Ustad Allarakha Khan. At the age of nine, Jay's father took him to the 'Saptak School of Music' to further his learning of Tabla and also to give him a holistic understqnding of Indian music. At the Saptak school he began the systematic training of the 'Benaras-Gharana' Style of playing, from his gurus late Pt. Nandan Mehta and Pt. Puran Maharaj, who were both disciples of late Padma Bhushan Maestro Pt. Kishan Maharaj. As a student, Jay started participating in events and competitions held at school, college, state and national levels. He then came to a stage where he started performing in respectable Indian music concerts, such as Saptak Annual Festivals, Sankalp Saptah and the Saarangi Utsav. He is an accredited "B- grade percussion artist" with All India Radio. While in India, Jay accompanied renowned artists such as Pt. Vishwa Mohan Bhatt and Smt Manju Mehta. He has also performed in front of maestros, such as Ustad Zakir Hussain, Pt. Kumar Bose, Pt. Jasraj, and Pt. Rajan & Sajan Mishra. Jay practiced Tabla with complete dedication and discipline - something he is admired for by his peers and also his gurus. Often, he practiced his Tabla throughout the entire night! Now living in Adelaide Australia, Jay is the country's most remarkable tabla player. His knowledge of the Benares style of playing is exceptionally broad, and his performance bears the characteristic energy and clarity of that style. 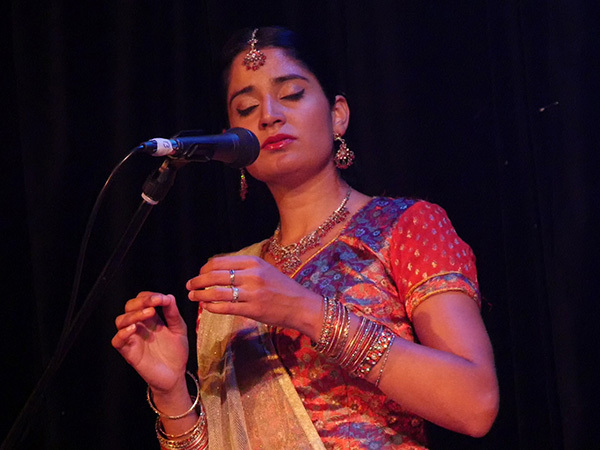 Parvyn combines her rich heritage from ancestral Punjab with western influences such as jazz and folk to perform in her own unique style. On stage since she was five, singing with her father Dya Singh, Parvyn's stunning, pure and soulful voice has captured the hearts of audiences around the world. 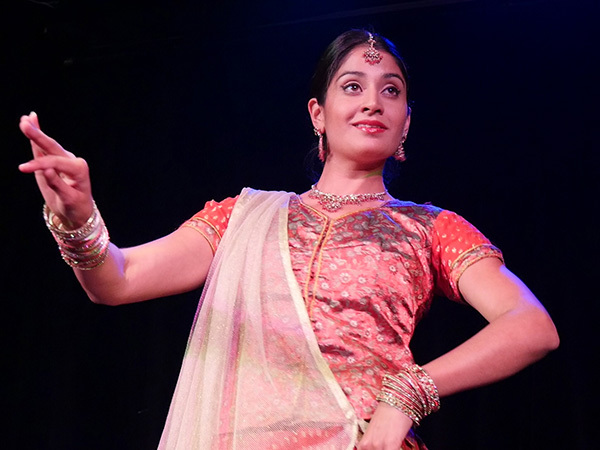 Parvyn has studied both Khayal (North Indian Classical vocal) and Kathak (North Indian Classical dance) in Ahmedabad, India at the Kadamb Dance Academy and Saptak School of Music. Kathak dance is based on a traditional form of story telling, or miming, that was originally performed in temples. It incorporates the rhythmic patterns of the tabla/pakhawaj as intricate footwork that is performed with bells wrapped around the ankles. Parvyn a.k.a. ‘The Mysterious Lady’ is the lead female singer in Melbourne vintage Bollywood band The Bombay Royale and has performed on stages and festivals such as Glastonbury, Womad UK, NZ and Adelaide, Royal Albert Hall, Woodford Folk Festival, Winnepeg Folk Fest, Sakifo (Reunion Island), Global Fest- APAP (Webster Hall, New York) and many more. The Bombay Royale’s debut album You, Me, Bullets, Love was awarded iTunes Breakthrough World Music Album of the Year and Breakthrough Artist of the year in The Age EG Music Awards in 2012. Parvyn has been involved with many cultural and community projects that seek to bring music and dance of different cultures together such as The Meander Project supported by Multicultural Arts Victoria and ANAM, and No Passport Required, bringing together culturally diverse artists from the Western suburbs of Melbourne. 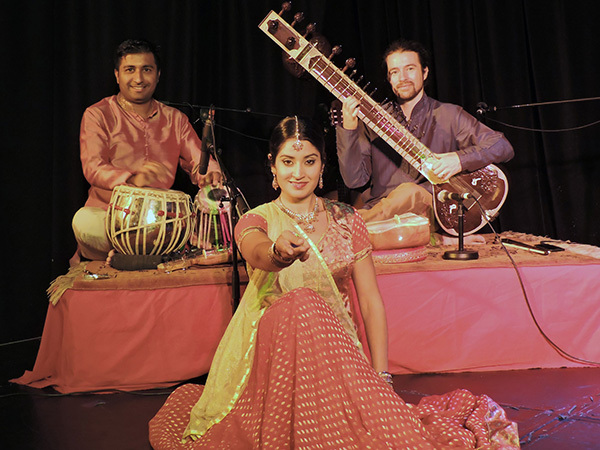 Parvyn also regularly tours Australia with folk acoustic trio BluGuru and with her husband Josh Bennett performs a cultural education show on Indian music and dance – classical to Bollywood, at schools across the country and New Zealand. A Sadhana performance is based in equal parts on the two pillars of Indian Classical music: Raga and Tala. A raga is more than a scale or a melody. It is a precise framework within which an artist must improvise, and often with a key group of phrases handed down from teacher to student that encapsulate the rasa or colour of that particular raga. Similarly, tala is more than just a time signature. It is a complex rythmic cycle, with accented and unaccented beats and a flow that is adhered to even while improvising. At the beginning, pure melody is the feature, with a slow introduction and development of notes and phrases called Alap. Then rhythm is gradually introduced, and over the course of the performance becomes more and more a feature, until the final climax, where both Josh and Jay are playing at a blistering pace. At the end of a performance, a lighter, more lyrical piece of music is often performed to bring the audience back down to earth. 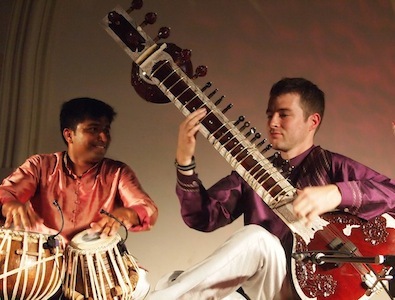 Throughout the performance, the focus shifts from sitar to tabla and back, giving both artists an opportunity to take the role of lead while the other provides an accompaniment. Josh, Jay and Parvyn have all spent tens of thousands of hours on their art, which involves much more than simply practicing. Especially for Indian Classical music, an intimate and deep understanding of both raga and tala is essential, as is creativity and the ability to improvise at length. On stage, it is as if they share a single mind as the music flows and changes direction with a musical rapport cultivated over many generations.